Cuban President Raul Castro has called for “civilised relations” with the United States, saying the two countries should respect their differences. 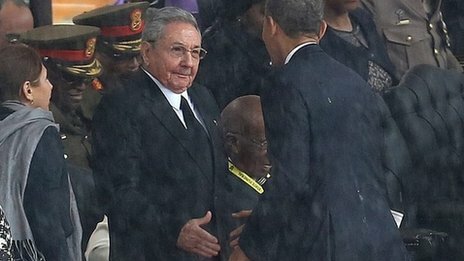 Mr Castro’s comments follow a public handshake with President Obama at the memorial ceremony for Nelson Mandela in South Africa earlier this month. “We do not ask the United States to change its political and social system, nor do we agree to negotiate over ours,” Mr Castro told legislators at the closing session of the parliament in the capital, Havana. 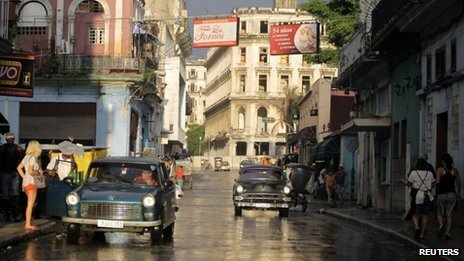 Relations between the two neighbours have shown signs of improvement of late, although some stumbling blocks to reconciliation remain, said the BBC’s Sarah Rainsford in Havana. Raul Castro, 82, took over from his brother, Fidel, in 2006. Fidel had serious health problems and was never able to come back to power. Two years later, he resigned and transferred control permanently to Raul Castro. 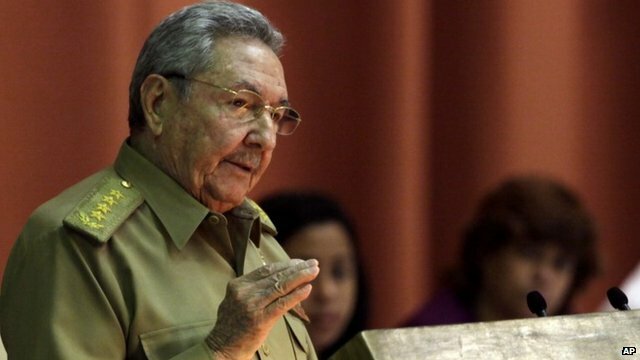 “The reform process in Cuba cannot be rushed or it will lead to failure,” Mr Castro warned. Until now, only those who were given a previous government authorisation were allowed to buy cars in Cuba.